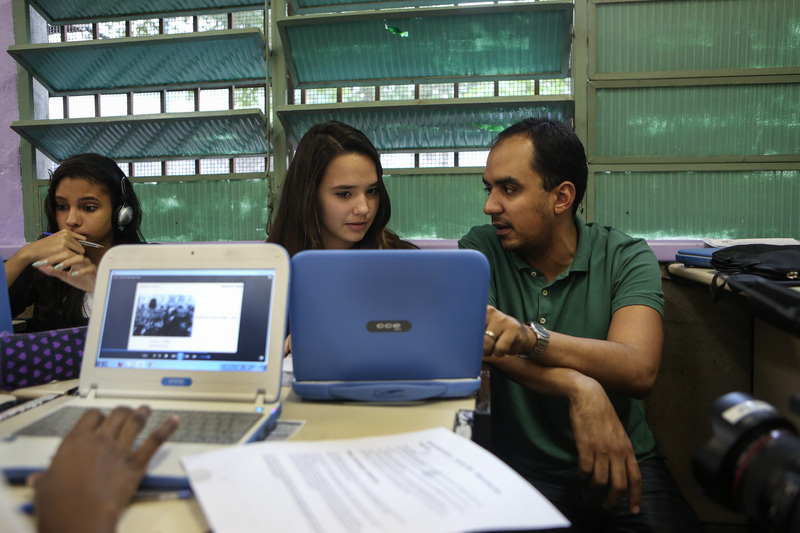 For the past few years at the Institute, we’ve heard stories about Brazilian teachers trying out blended learning. Since then, some of these teacher-led initiatives have flourished into school-wide programs around the country. To explore these trends more deeply, we published our first international blended-learning research paper in November, Blended Beyond Borders, in partnership with the WISE Initiative. This paper offers a snapshot of blended-learning in Brazil, Malaysia, and South Africa, as well as giving policymakers and practitioners recommendations on how they can help blended efforts prosper in their context. Our partnerships with the Lemann Foundation, Peninsula Institute, Porvir, Nova Escola, and Todos Pela Educação were instrumental in gathering data and understanding the landscape of the public and private Brazilian education system. Through these partners, we administered a survey to capture whether and why schools were going blended. After answering a series of questions asking what types of technology a teacher or school used, survey respondents told us why they started to use technology in their classrooms. 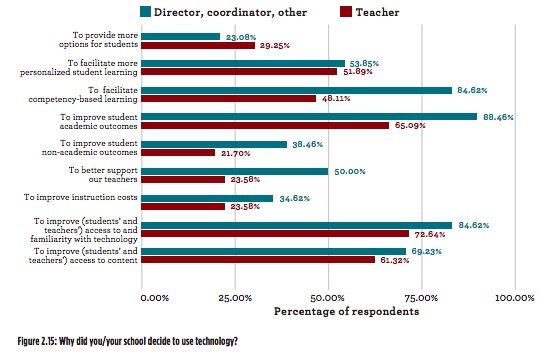 Providing more options for students (73.64% of both administrators and teachers), facilitating more personalized student learning (71.82%), facilitating competency-based learning (67.27%), and improving student academic outcomes (61.82%) were the top reasons educators gave for using technology. In April and May of 2017, I had the privilege of visiting 12 schools across Brazil, as well as speaking with three additional educators whom I was unable to meet in person. Seven of these schools are practicing blended learning based on our definition. Although each school I spoke with had its own unique reason for going blended, most were driven by one of the top four answers highlighted in the survey results. 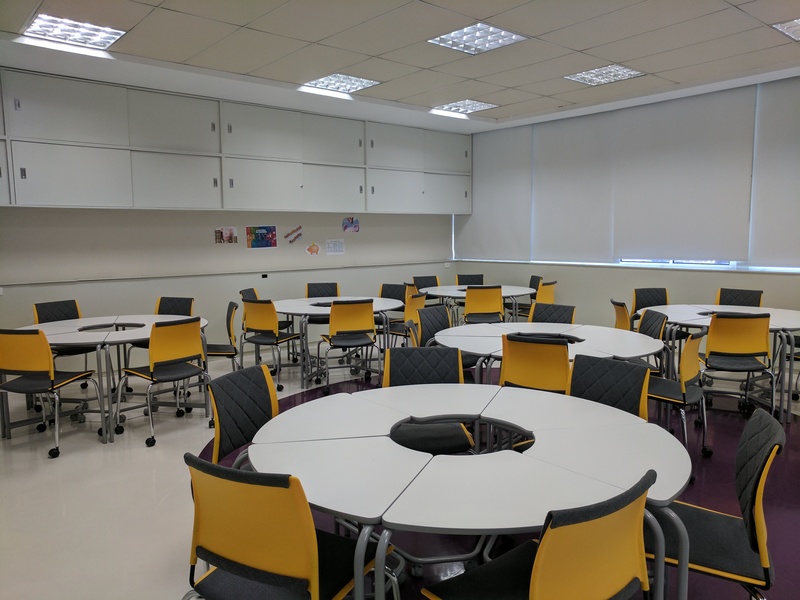 Colégio Soter, a medium-sized private school on the east side of São Paulo, started its blended-learning journey with a small pilot program in 2016. The school’s director wanted to give students more autonomy in their learning, as well as more variety in the way they learned. She adopted a Station Rotation model– in stations, students have choices. For example, students can learn about the life cycle of insects by watching a YouTube video, playing a matching game on a tablet, reading a story about the life of a butterfly, or creating a diagram of each stage using crafting materials. This gives students more opportunities to learn in the way that is best for them. Additionally, because students at Colégio Soter only attend school in either the morning or the afternoon, the management staff wanted to take full advantage of time outside of school. They knew that learning need not stop when students leave the building, and began to use a Flipped Classroom model of blended learning. This model gives students multiple channels to access material at home, and unlocks more practice time and individualized help from their teacher while in the classroom. Colégio Dante Alighieri, a large private school in the heart of São Paulo, prides itself on academic excellence. It has an abundance of resources like new computers and flexible furniture in its classrooms. More importantly, however, it has a dedicated teaching staff and administration with an innovative mindset. Blended learning first came to Colégio Dante Alighieri in 2014 with the help of coordinator Verônica Cannatá: she and her colleagues were inspired by the belief that every student learns differently; they wanted to give students multiple modalities for learning, as well as a place where they could really hone their skills one-on-one with their teacher if they needed. These ideas were the crucial starting point for a personalized learning system supported by blended learning. 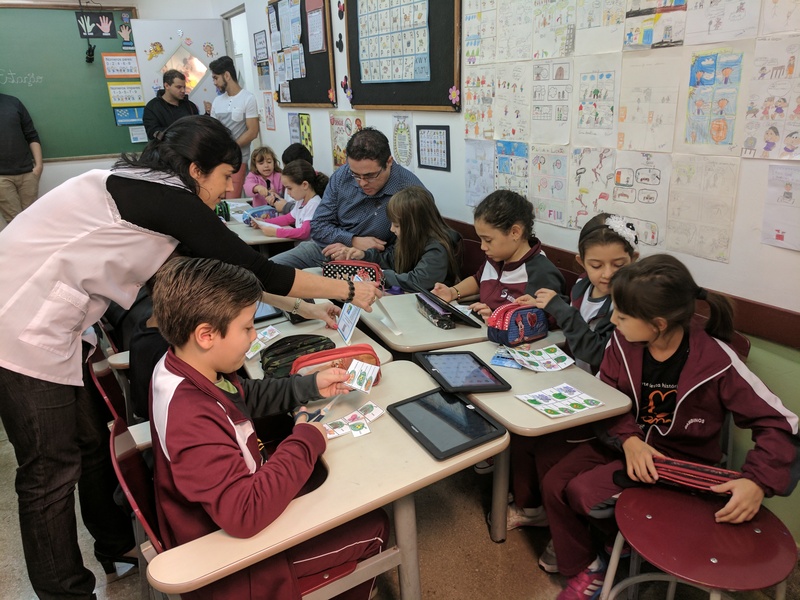 Students at Colégio Dante Alighieri experience several different models of blended learning, including an Individual Rotation, Flipped Classroom, and Lab Rotation. All of these models give students a variety of ways to learn course material, such as watching videos and texts prepared by their teacher and completing online activities and exercises to apply their knowledge. Teachers also give personalized help to students in their rotations: the primary teacher works one-on-one with students who need more help, while the technology teacher oversees a second classroom of students going through individualized playlists, assisting where necessary. Data from all activities is collected in the LMS Moodle, which is later analyzed to inform future student groupings and projects. Eric Rodrigues teaches history at a small public school on the outskirts of Rio de Janeiro, Escola Municipal Emílio Carlos. Before using blended learning, over 30% of Mr. Rodrigues’ middle school (6th – 9th year) students were not passing his class. He knew that all of them had the potential to pass, so he started to examine his own teaching for clues on how he could help his students improve. He quickly realized that if he stopped being the “sage on the stage” and became a facilitator for learning, his students could have a richer experience that included multiple learning modalities and a competency-based curriculum. Since he began using an Individual Rotation model in 2013, Mr. Rodrigues has seen significant improvement in his students’ achievement. By the end of their first year using blended learning, 88% of his students were proficient, and in 2016, none needed remediation. This 100% passing rate is not only a testament to Mr. Rodrigues’ innovative blended-learning model, but also to his dedication to his students: for the past three years he has been single-handedly creating and curating all of the content and competency trees for his history courses. All the hard work he puts into his lesson planning very much reflects in his students’ success. As in the U.S., each Brazilian school we studied had different reasons for going blended. Indeed, they all started with a distinct goal or rallying cry that led them to their own unique blended-learning programs. Our report only scratched the surface of the swell of new models cropping up in Brazil. I’m excited to see the progression of blended learning in Brazil and am hopeful that these programs will transform students learning across the country. Want to learn more about the blended-learning schools we visited in Blended Beyond Borders? Check out their profiles in our BLU Directory.